Nigel Burton has been appointed acting editor of the Bradford Telegraph & Argus and York-based daily The Press. It follows the departure of Perry Austin-Clarke, who had edited the Telegraph & Argus for almost a quarter of a century, last month. A spokesperson for publisher Newsquest told us a permanent successor would be appointed "in the next few months". 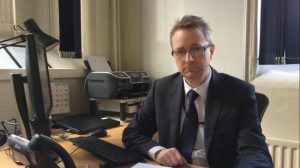 Burton, who is also acting group editor for Newsquest Yorkshire, had been deputy group editor and head of content at the Northern Echo since last summer. He was previously the Echo’s joint acting editor, along with Andy Richardson, following the departure of Peter Barron last year. As well as his new responsibilities, Burton - who began his career with the Echo in 1990 - retains his role as group motoring editor for Newsquest North East.